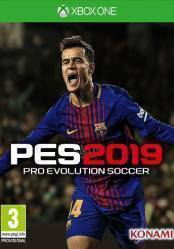 The new season of the legendary PES franchise, PRO EVOLUTION SOCCER 2019, is approaching. Remember that this product is exclusive to Xbox One and can be in digital format, which can have regional blocking, or in physical format. Don't forget to read the digital version specifications carefully to see if you can activate it from your region.